Many times I have asked myself how can I concentrate on the British Romantic Poets when people in Syria, the country of my birth, have been killing each other for the last four years, supposedly in the name of liberty and freedom? Thousands of men, women and children have been killed, maimed, or made homeless. Historical monuments that stood there for centuries were erased from the ground. Was I trying desperately to forget my misery and immerse myself in a mythical world? 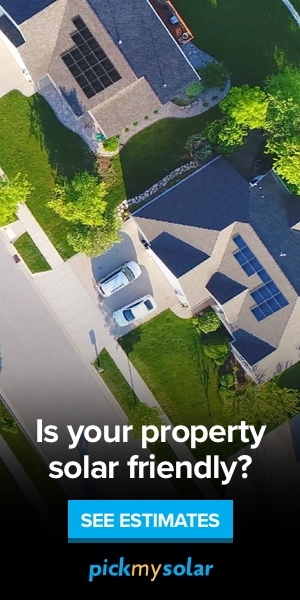 If so, I did not entirely succeed. Ironically, even in the poetry of the Romantics, I cannot escape the haunting images of past such paroxysms of violence in my homeland. Coleridge much admired Hulagu,the brother of Kublai Khan (the Mongol Emperor of China), but Syrians remember him as a tyrant who sacked northern Syria in 1260, and attempted to destroy the latest traces of civilization. Byron greatly admired Timur Lang (Tamerlane), who destroyed Aleppo and Damascus in the fourteenth century, leaving behind him mountains of skulls out of which hundreds of towers and pyramids were built. But neither of these icons of the romantics can be blamed for the current destruction. It is the Syrians themselves who are engaged in self-destruction, not, as in former times, intruders. Reciting poems such as “The Rime of The Ancient Mariner”, “La Belle Dame sans Merci”, “Daffodils”, “All Religions are one”, “Ozymandias” or “Childe Harold’s Pilgrimage” seemed to relieve somehow my physical and spiritual pain. But it did not take me long to realize why I was haunted now by poets like Coleridge, Keats, Wordsworth, Blake, Shelley and Byron. They too lived during a turbulent historical period not very different from mine. Their country was always engaged in wars. The injustice of the social system was appalling. Religious minorities were oppressed. The slave trade was rife. Indigenous Africans were mostly brought from west central Africa by British ships and exported to British plantations, especially the sugar colonies, and to North and South America. The French Revolution that destroyed the most centralized absolutist state in Europe excited the British poets’ imagination. They hoped for radical political reform both in France and their own country. But gradually they witnessed the failure of successive constitutions in Paris, the Reign of Terror of 1793-94, the execution of the French King and Queen, the endless fighting between political factions, and finally the triumph of a military dictatorship. To relieve their anxieties and fears they all turned to the East hoping to find a remedy and inspiration. Many Arabic and Persian books were available to them in English translation, from One Thousand and One Nights to the Seven Ancient Arabic odes called Mu’allaqat, from the philosophical novel, Hayy Ibn Yaqzan, a 12th century Arabic book, to the works of the Persian poet Shams al-Din Muhammad Hafiz, from the romance of Majnun Layla by the 16th century Persian Hatefi to the poetry of the 11th century Syrian philosopher and poet Abu al- ‘Ala’ al-Ma’arri, from the Quran to Muhammad’s Journey to Hell and Heaven. English and other European writers also produced many books on the history and religion of the people constituting the Ottoman Empire whether Turks, Kurds or Arabs. In short, 18th and 19th century Britain was teeming with Arabic and Islamic books that were read and absorbed by young British poets who were desperate to forget their misery in an era of bloodshed and violence. Only today I have come to reflect on this artificial binary opposition created by some scholars between East and West, and how philosophers and literary and cultural critics have ignored for so long the role played by Arabs and Moslems in helping the British romantic poets develop their themes, characters, imagery and narrative modes. On the other hand, I had to wrestle with the ambiguous feeling of the poets themselves towards the East. For Coleridge for instance, the prophet Muhammad was considered a rebel, a Prometheus type, but also as someone “who scattered abroad both evil and blessings.” For Byron, the poetical passages in the Quran far surpassed European poetry, and Muhammad was another admirable Napoleon. Yet Byron was very proud of his own ancestors as Crusaders in Palestine. In spite of all these contradictions and anxieties, the East hardly differed from the West. The British poets reached Hayy Ibn Yaqzan’s conclusion that all people are alike, though infinitely various. 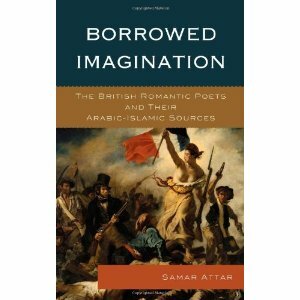 author of Borrowed Imagination: The British Romantic Poets and Their Arabic-Islamic Sources (Lanham, 2014).